Provincetown Condominiums off of College Parkway. Very convenient location close to US 41 & The Bell Tower Shops. NEW AC in 2018. Both bedrooms and the full bathroom are upstairs and the 1/2 bathroom is located downstairs with a Washer & Dryer. Just under 1000 Sq. 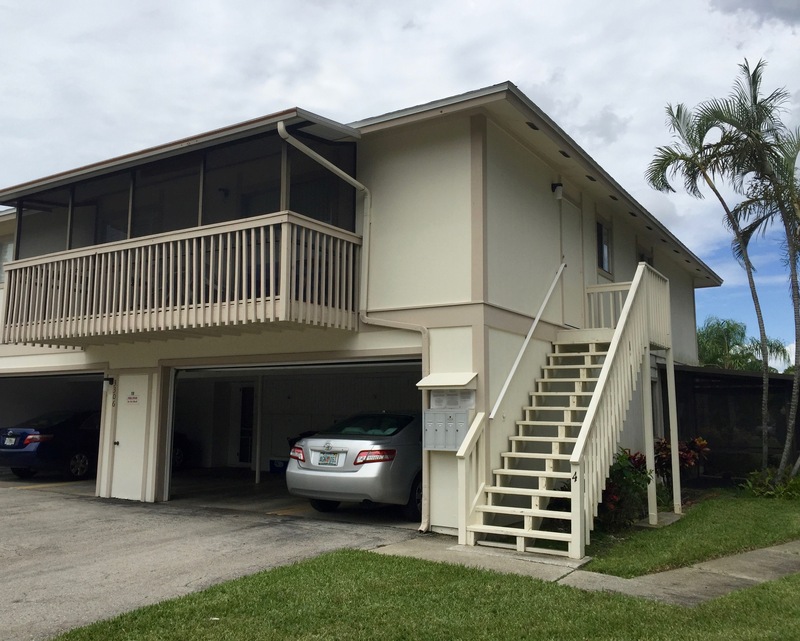 Ft. of living space, with a large screened lanai off of the living room and one garage parking spot under cover. Room for 2 cars total. Guest parking also available nearby. $3000 needed to move-in (First month, Last month, & Security Deposit). PLEASE ONLY CALL if you have the $3000 to move in.